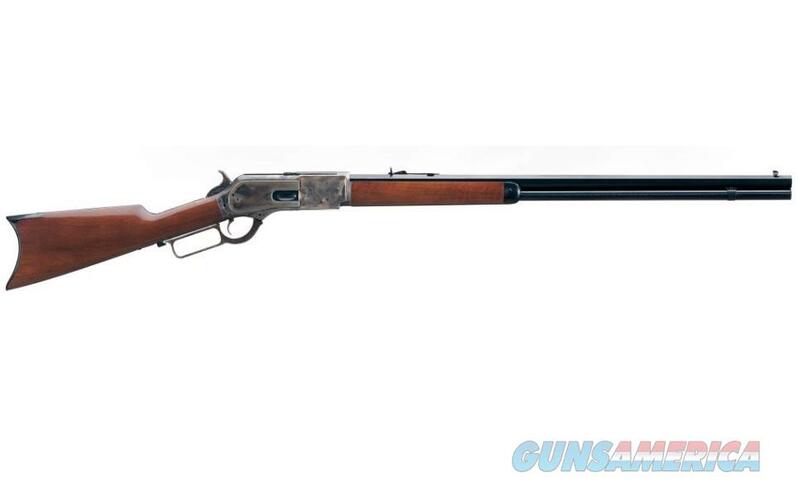 The 1876 Centennial Rifle from Uberti is an exact replica of the Winchester Centennial Rifle, but even better. It has stronger materials and more precise matching to exacting tolerances and specifications. Today’s model is more accurate and stronger for use with modern smokeless and black powder ammunition.